The Kellogg School of Management at Northwestern University is one of the couple business schools in that it requests all applicants to schedule an interview. On-campus interviews will be conducted by an admissions officer or a current student, while off-campus interviews are usually conducted by alumni. For all interviews, the interviewer will have only read the resume submitted upon registration. Expect the interview to last 30-45 minutes. Both on- and off-campus interviewers at Kellogg are not given a predetermined script, so applicants should be ready for a variety of questions to be asked. The level of rigor and engagement can also vary widely depending on who ends up conducting the interview. However, applicants should expect the interview to have a conversational feel, with the goal of getting to know the applicant more intimately. Our analysis of the questions our clients have been asked by Kellogg indicate that in addition to the typical career transitions, Kellogg is very interested in understanding the specific leadership style of each candidate and what experiences have informed the formation of that style. Additionally, Kellogg is placing a greater emphasis on diversity and experience in leadership of diverse teams and wants to see a certain baseline of that experience in its applicants. Walk me through your resume. Why did you choose your undergrad? Your major? Tell me about which experience in your career you had the most impact. Tell me about a time where you dealt with a team with a lot of diversity. What did you gain/learn? What challenges did you face. How did you manage your junior team members? What did you learn as a manager? What are the specific traits that define a leader? What are your long and short term goals? Why MBA? Why Kellogg? Why now? Tell me about your biggest concern or challenge you expect to face at Kellogg. Kellogg is a diverse school. When have you interacted with people differently than you? What is your leadership style? Why is it the way it is? What role do you play within a team? What specially do you hope to gain with your time at Kellogg? What are my odds at Kellogg? Perhaps the most feared and intimidating interview in MBA admissions is the one at Harvard Business School. That’s true for several reasons. 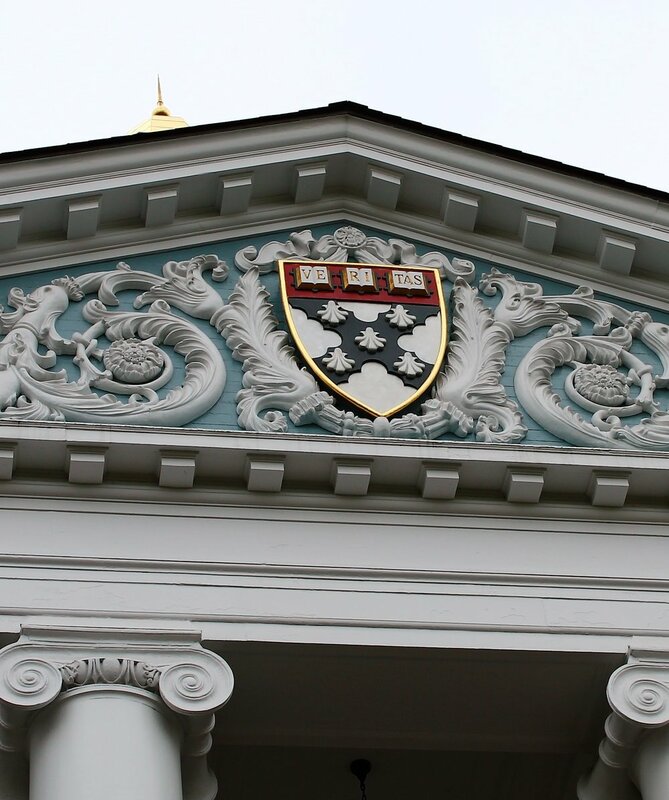 First, unlike student or alumni-led interviews, where the interviewer reviews your resume as you hand it to them, the HBS Admissions Committee comes dangerously prepared. The night before they carefully review each resume, looking for inconsistent themes, odd career transitions, vaguery to clear up, and anything they happen to find interesting. They then write up a list of pointed questions and prepare to deliver them rapid fire over the course of their 30 minutes with you. Second, the entire time the interviewer and their scribe will be evaluating your communication skills to see if you’d crack under the pressure of the case classroom. They will want to see that you are able to clearly articulate your thoughts with logical structure and that your answers are persuasive. They will also probe to test the depth of your professional knowledge to see if you will be able to serve as an appropriate representative for your industry to the rest of your section. Third, HBS’s admissions department is a well-oiled machine, and many find the incredible professionalism of its staff to be intimidating. There is a dedicated check-in center where Admissions Director Chad Losee can often be seek taking applicant’s coats. At the appointed time, an admissions staffer walks all the interviewees up to their “green room” to wait for their individual interviewers to be ready. Precisely at the appointed hour, the interview room doors open, and the names of each applicant are read out. Exactly 30 minutes later, the interviews end and the applicants are led back downstairs and on their way. For some, this is too much and we often receive reports that when clients visit the bathroom before and after the interviews, they can hear other applicants vomiting. In general we are finding that HBS is much more interested in measuring each candidate’s industry knowledge and ability to represent their industry in section. We recommend that candidates prepare by researching the latest trends in their industry and be able to speak to the recent performance of their own company. Explain to me why you studied [foreign language on resume]. Explain how the [foreign language listed on resume] alphabet works. Why did you study [undergraduate major]? What is your criteria for turning down investments? Compare and contrast [your sector] with [another adjacent sector]. Why did you choose to work abroad? Why that city? Tell me about your most interesting consulting project. What about your background led management to choose you for this project? What are the challenges that the company you are working with right now is facing? How have you tried to [solve problem mentioned in your application] through your professional work? Tell me more about [the start-up you interned at]. What is the next big thing for it? Which competitors should [start-up company] worry about? Do you think [company] will ever be profitable? How would you evaluate [your undergraduate college’s] recent endowment investments in your industry? What do you read, what news? Was your military service mandatory? If not, why did you do it? Why do you want to move to [country]? Evaluate the value of [your industry]. Is there anything else you wanted to talk about? Need help with a mock interview? Style tips for nailing the MIT Sloan "Video Statement"
Please introduce yourself to your future classmates via a brief 60 second video statement. (This video will be used for application purposes only and will not be shared.) Videos should be a single take (no editing) lasting no more than one minute and consisting of you speaking directly to the camera. We recommend using an application such as QuickTime or iMovie to record yourself. Should you experience difficulties uploading your file, please ensure that you're using a modern web browser (Chrome, Firefox, or Safari) on the fastest wired Internet connection available. An intermittent or slow Internet connection can cause uploads to timeout. Choose a plain background -- one in which no movement will occur. Ideally, your background would subtly connote a part of the personal narrative you will discuss in the video. Raise your the camera up to eye level. You can do this by putting books under your laptop or using a portable camera. You don't want to be looking up or down at the camera. Make sure you have a soft light source aimed at your face (e.g. a lamp with a shade centered a couple feet behind your laptop). You don't want to be darkened or have sharp shadows over your body. Lose any Apple earbuds, but ensure that whatever microphone you have can clearly pick up your voice and no ambient noise. It's fine to use hand gestures. If you do, make sure that they are visible on camera; you might need to bring your hands up a little higher than feels normal to accomplish this. What is critical is that in between gestures, you return your hands to your "resting position". We have the research on what focus groups say the best resting positions are and coach our clients to execute them flawlessly. Don't sit in a swivel chair. If you must, make sure to keep both feet planted on the ground and resist the urge to swivel. Speak clearly by enunciating every syllable, and speak a little slower than you think is just too slow. You'll be amped-up and will naturally talk faster than you think. Practice inserting pauses between sentences and remember to wait a beat after you click record to ensure that the video will not cut off the beginning of your opening introduction. Write in short sentences. John F. Kennedy's Inaugural Address was written so that he could look down at his script, pick up six words at a time, and deliver them. This simplicity and clarity of his speech earned it rave reviews. Memorize the script and deliver it looking directly into the camera. This will feel awkward but it will help maintain connection with your viewer. Maintain your gaze with the pinhole of the camera and don't break it except to blink. Practice this a few times in advance. Use these tips and you should be able the make the most of your content by establishing an authentic connection with the viewer. What are my odds at MIT Sloan? I Received an MBA Interview Invite...Now What? October 01, 2017 / Anna W.
Round 1 interview offers are starting to trickle out in the next few weeks. If you're one of the lucky applicants to get an offer to interview, how can you optimize the interview scheduling process? The interview sign-up portal usually opens day or so after you receive your interview invite email. Mark the day and exact time on your calendar! Most sign-ups are first come first serve, and your fellow applicants are fierce competitors for the best slot. Have a list of your preferred dates and times written out in rank order, so if your first choice is taken, you can quickly jump on your second choice. The interviews usually run for a few weeks, so you have many dates to choose from. For most people Friday is the best day to interview, since you'll miss the least amount of work. Consider arriving the night before your interview so that you get plenty of time to settle in and relax. Map out how long it will take to get to the interview location. If you're there early enough the day before, consider visiting the interview location ahead of time so you know your route. The last thing you want to do is dash from the train station to your interview, arriving frazzled and not in peak condition. A study featured in the NYTimes showed that, "experienced parole judges in Israel granted freedom about 65% of the time to the first prisoner who appeared before them on a given day. By the end of a morning session, the chance of release had dropped almost to zero. After the same judge returned from a lunch break, the first prisoner once again had about a 65% chance at freedom. And once again the odds declined steadily." What does this mean for you? Schedule your interview for early morning or early afternoon, when the interviewers are at their freshest. Mental capacity for decision-making can deteriorate throughout the day, and you want the interviewers to be in peak condition when they talk with you. You want to be at your best and any anxiety you may have about missing a connection or arriving late will likely impede your sleep, give you jitters, and hurt your verbal fluency. Plus you'll likely be thinking about little else than your interview earlier in the day. Do yourself a favor -- keep your calendar free before the interview. You can backload your day with meetings once all the pressure is off. Many schools have activities scheduled throughout the day for interviewees. For example, at HBS there are multiple opportunities to sit in on classes and various formal sessions led by the AdCom. If you've never visited the campus before, it may be worth spending the morning attending class or talking to students, so if anything relevant comes up you can sound like you know more about the school during your interview. Personally, I had visited campus before my interview and had a good understanding of the school's culture, so I much preferred doing the interview first thing in the morning and enjoying the rest of my day. Do whatever is best for you. Now that the HBS Round 1 application deadline passed yesterday, the next step for MBA hopefuls is to prepare for the Admissions Committee interview. There are four kinds of interviews that elite MBA programs use: student (Chicago Booth), alumni (Stanford GSB), video (Kellogg), and Adcom (HBS). Adcom is by far the hardest since you'll be talking directly with a gatekeeper who has already reviewed your applications and will be coming after you with tailored questions to poke holes in your application. In these interviews more an others, presence is a major key. Our recommendation would be to come off as approachable when you arrive to interview and maintain that demeanor up until the interview. Once you get into the interview room, we recommend an authoritative demeanor. In the lecture below out of Stanford GSB, Richard Cox discusses how to accomplish each. Observe yourself and see how you come across. Filming yourself and attending improvisational acting classes can be a huge help.